Since receiving a doctorate in education from Harvard, Weiner has been working with prospective and experienced urban teachers at New Jersey City University for the past twenty years. Her fifteen years of teaching experience (eight of which were in New York City) and capacity for honest reflection around the challenges faced by teachers in urban schools give Weiner a degree of credibility I've not often experienced with other teacher trainers. Weiner has also been an outspoken critic of the neoliberal global educational policy agenda. I recommend watching this and reading this if you'd like to know more. Weiner's tremendous experience is reflected in Urban Teaching. Far from a comprehensive guide on how to teach, the book is mostly about how urban schools work and how urban teachers can respond. Importantly, Weiner spends time discussing what makes schools "urban" and how their distinctiveness positively and negatively (although mostly negatively) impacts teaching and learning. Weiner notes that student population, which is what most people probably cite when asked to explain how urban schools are different, is merely one of the unique challenges that come with accepting a teaching job in the city. The structure, organization, and sheer bureaucratic size of our large city school systems create other challenges. The bureaucracy standardizes, anonymizes (not actually a word), over-regulates, and often subverts logical solutions to unique problems. I particularly like the following analogy: "dealing with the New York City school system [is like] wrestling an octopus that has no head: It's not possible to escape the tentacles and it's also not possible to get at a nerve center." Weiner clearly lays out the ways this reality impacts students and teachers on a daily basis, and provides a framework for confronting many of the absurd challenges associated with it. Another particularly important aspect of urban teaching that was never covered in my teacher preparation program is the teacher's relationship with the union. Weiner spends time explaining teachers unions, why they exist, and how they work. She criticizes many of them for essentially joining forces with an ineffective bureaucracy, but she offers hope for what they could be, given appropriate teacher action. As someone who sees an urgent need for an effective union both at the school level and at a national and international level, I'd urge all teachers to consider reading Weiner's chapter on the unions. It's largely because of a lack of context and a serious media war being waged against unions that you hear ignorant young teachers say things like this (also, see Jose Vilson's very appropriate response to this comment here and Sabrina Stevens Shupe's reaction here). The three aspects I like most about Urban Teaching include its refusal to suggest that the work will ever be easy (or that most problems will have acceptable solutions), the hope it gives to reflective teachers who are willing to struggle through a complex journey in a system that often works to undercut their best efforts, and the clarity it provides in explaining the roots of the problems that exist in urban education - clarity that only comes after years of serious and honest reflection on the process (i.e. you generally don't find this knowledge in a textbook). After four years of working in urban schools, the book helped me nail down some of the origins of many of the conflicts I have with administrators, colleagues, and students on a daily basis that I'd been struggling to identify since I began. It's also inspired me, along with posts Frank Beard wrote on my blog (here and here) and an email conversation I've been having with a retired schools superintendent, to devote a series of upcoming posts to a discussion about what's required to create a positive school atmosphere in an impoverished urban school. Weiner describes three sources from which teachers in urban schools draw authority and emphasizes that teachers from middle-class suburban backgrounds will likely have to alter their understanding of how teachers and students relate in order to be successful. Despite touching on most of the important challenges that come with working in urban schools, Weiner omits two that have been conspicuously present in my short career: 1) working with administrators who have a limited background in education and a strong propensity to blame teachers for poor student achievement, and 2) working in districts that are tying teachers' performance ratings to student test scores. Weiner admits that urban teaching has only become more difficult since she left the profession. Learning to win over poorly trained administrators (or at least deal with the worst of them without loosing your mind and desire to teach) and successfully working to keep your job while providing a legitimate education are perhaps the missing chapters from Urban Teaching in 2011. Urban Teaching is not only for new teachers. It's a useful read for anyone who wishes to know more about the unnecessary number (to the extent of utter absurdity) of enormous challenges that come with being an urban teacher. If you're a prospective or current urban teacher who's in it for the long haul (Weiner notes, and I agree, that if you're not seriously considering staying in this profession, you should find another line of work), then I can say confidently that this is a book you should read. If you are a prospective teacher, you might find that before you can use the insight Weiner provides, actually securing a job in this economy will likely be a big enough challenge on its own. 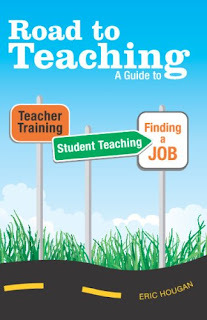 In that vein, Eric Hougan's book and website, Road to Teaching, provide considerable resources for teacher candidates. (Disclosure: Hougan is a friend and former colleague of mine.) 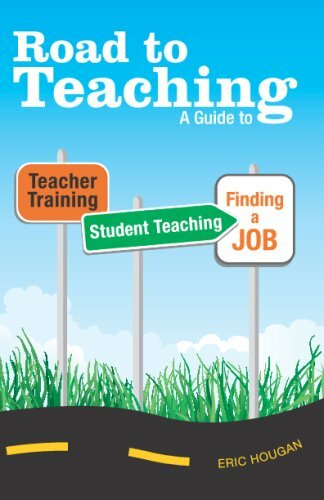 From a comprehensive list of interview questions to useful teaching strategies, Road to Teaching is a very readable and succinct guide to finding a teaching job. Like Weiner, Hougan offers advice that is often neglected in your typical teacher training program. If you'd like more information on either resource, feel free to email me at TheReflectiveEducator@gmail.com. That sounds like an interesting book. I'll have to get a copy. Thanks for the mentions. I agree with you about the chapters on administrators. What's funny is that researchers have said for decades that administrators are often the problem. So is the system as a whole. People refuse to change the system radically in the name of helping students. I'm glad she took that sort of approach; thank you for the review. I'm putting together a list of the top 100 high school teacher blogs and I was wondering if I could interview you via e-mail to include more information in my article. Please e-mail me at alexisbrett@gmail.com and include the title of your blog in the e-mail, thanks! 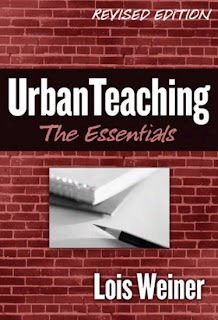 I don't think people realize the challenge urban teacher have, this book is a great resource. What's it like teaching in Seattle in comparison to NYC? Pete Seeger, loyalty oaths and hootenannies. Hitting Left with the Klonsky Brothers. Episode #110.